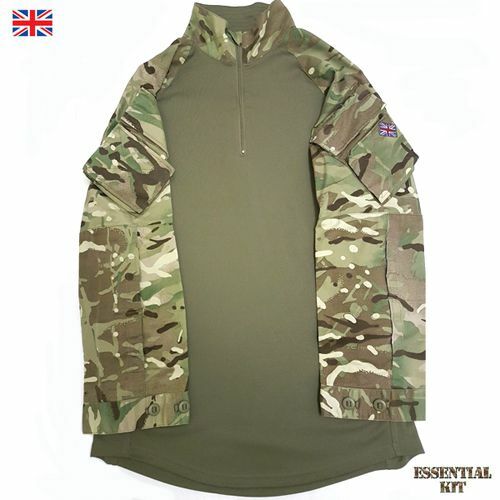 PCS (Personal Clothing System) - latest and current British Military issue. Label states - Shirt, Under Body Armour, Combat,MTP. MTP (Multi-Terrain Pattern) camouflage sleeves. Green Coolmax wicking body to aid ventilation. Sleeves have angled pockets with velcro closure flap and velcro backing sections to attach TRF badges etc. Pockets on the lower arm for padding (not included).